While most of the country is outside burning Guy, I’m in the warm, drinking sloe gin from 2004. It’s my last bottle, so this year I’ve made some more. Sloes are the fruit of the blackthorn bush (fairly common in northern Europe) and are little mini plums with an astringent taste. However, when used to infuse gin, the sloes impart a taste like almonds and colour the drink ruby red. 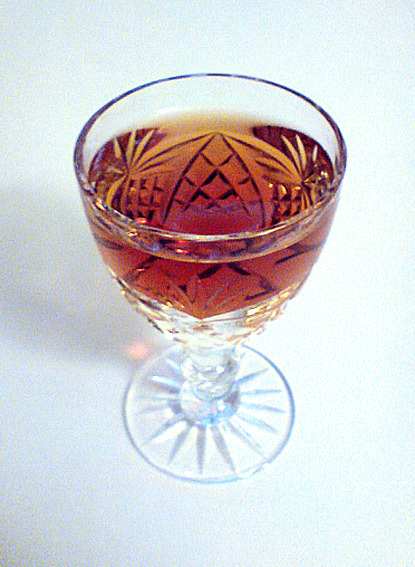 One can buy commercial versions of sloe gin, but home made tastes far superior. Pick your sloes at the end of October or beginning of november after the first frost. Wash the fruit to remove any dirt or dust. Prick the sloes, traditionally with a thorn from the blackthorn bush, but I have to confess that I used and recommend a meat sewing needle. Half fill a 1 gallon (imperial) demijohn with the sloes. Cover the sloes with sugar – I use the sugar sparingly, I’m not a big fan, but it is necessary for the extraction and infusion. Top up the demijohn with gin, leave a small amount of breathing space at the top, cork the bottle and give it a good shake to mix things up. Leave the sloe gin to infuse for 2 months, giving it a shake on a daily basis for the first week. Keep it in a cool dark place (cupboard). 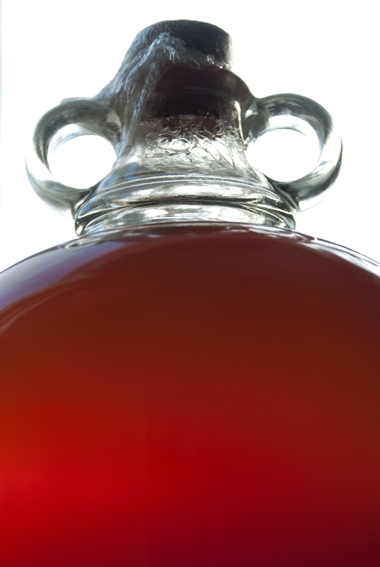 By Christmas the sloe gin can be filtered and decanted into bottles. A little more sugar can be added and the demijohn can be topped up with gin a second time to produce a spring “vintage”. Sloe gin is said to improve over a few years of keeping. 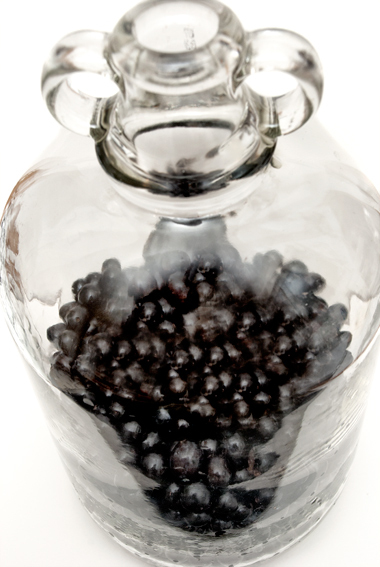 After decanting the second batch, the sloes can be used for baking or chocolate truffles. 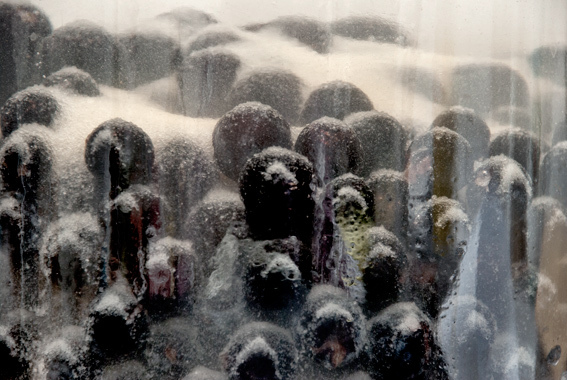 Some people add brandy, cider or white wine to the sloes to produce a final alcoholic infusion. There is a particularly good sloe gin forum here. For anyone struggling to find sloes (it is a bad year), you may be able to order some online from Wyllowytch. N.B. 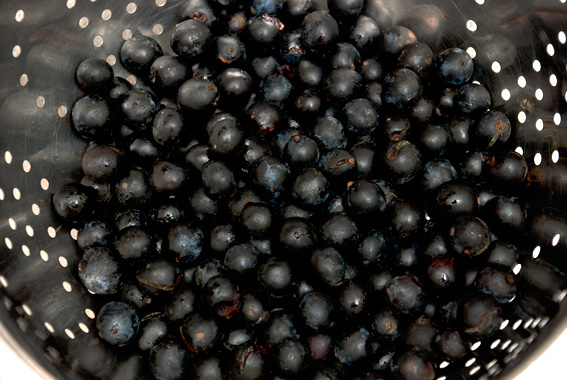 Damsons can be used as a sloe substitute and vodka can be used in place of gin (if you don’t like the juniper flavour). This entry was posted in Drink, Food, Recipes, Spanish and tagged blackthorn, caster sugar, damson, demijohn, gin, Guy Fawkes, infusion, Patxaran, Schlehenfeuer, Sloe Gin. Bookmark the permalink. Wonderful! Do you drink fizzes? So Raj Quartet! I always wondered why they called it Sloe? Now I know! Your blackthorns look like blueberries a bit.. are they the same size? I’m not a huge gin fan, but with this flavor infused, I’d sure like to try it! You’re on your own with this one, MD. I’m not at all a gin drinker, sloe or otherwise. That doesn’t mean, however, that I won’t join you in a toast. I’ll bring limoncello and you bring the sloe gin. We’ll do just fine, to be sure. Lovely MD. my last encounter with sloe gin was after a dinner here. After the cheese, one of our guests produced a bottle he had made from his coat. The balance of the night / morning is a bit hazy. I have fond memories of sloe gin, but haven’t had it in a while. I’ll have to check out the Basque version at the market in La Rochelle. There are a few commercial brands and I’m would imagine it’s popular in France due to the aniseed flavour. I knew it had sloes in it the first time I tried it in spite of the different alcohol base. I had a lovely time drinking Promenade Claire´s Sloe Gin a little while back – would love to make some but haven´t seen any Sloes round here. Bet yours was good! Ooh missed that! Where we are they use dry or sweet anis with what I assume are juniper berries but will have to check it out. Don´t like the stuff myself, but it´s a good “digestivo”! ¡Qué rico MD! O sea que ¿con esta fruta se hace el pacharán? Haber empezado por allí!! jejeje 🙂 Otra genial receta/idea de las tuyas, me encanta! I haven’t had sloe gin in years…nice that you are replacing your last bottle. Damsons are the most obvious and closest to sloes. Vodka might be better for some fruits, because it doesn’t have the juniper taste and I think you can infuse it with almost any fruit and some other flavourings – even lavender! 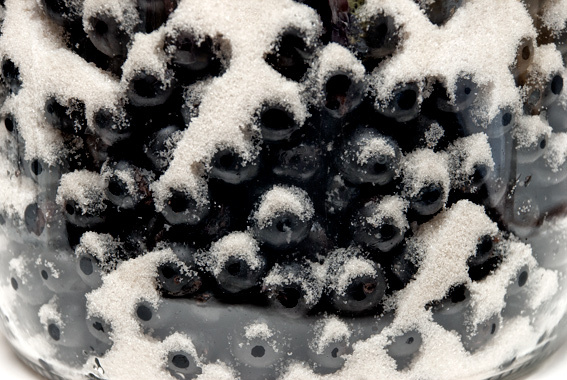 I don’t think you necessarily need sugar with everything – with sloes it’s necessary to extract flavour from the stones. I love sloe gin, we have had zero sloes where I live this year, luckily I made a double batch last year because we had so many, feast and famine..